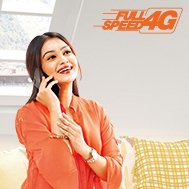 With Banglalink 4G, experience a crystal-clear internet world! From streaming, gaming to downloading- everything feels newer! New SIM Offer! Recharge Tk. 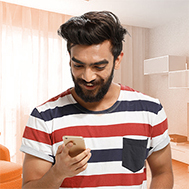 48, Get: 1GB Internet, 54 paisa/min to any operator for three months. Enter the world of a crystal-clear Internet in a whole new way by replacing your SIM to Banglalink 4G.